Eco friendly machine washable, high-quality non-toxic ultra soft TPR rubber anti-slip long bathtub mat. Stylish pattern design, massaging for health and comfort. Mold and Mildew Resistant. Easy to Clean. Beyond the Amazon's A-Z protection policy, you are backed by Surpahs' 100% satisfaction guaranteed program, welcome to compare. 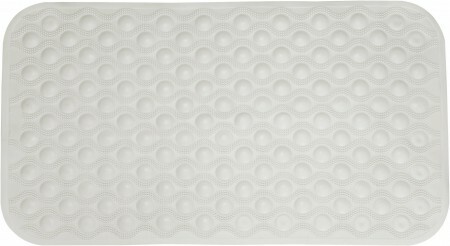 Surpahs TPR Non-Slip 16"x28" Long Bath Mat.